IMG_7398 | I eat, drink and know things. Published January 21, 2016 at 3264 × 2448 in IMG_7398. 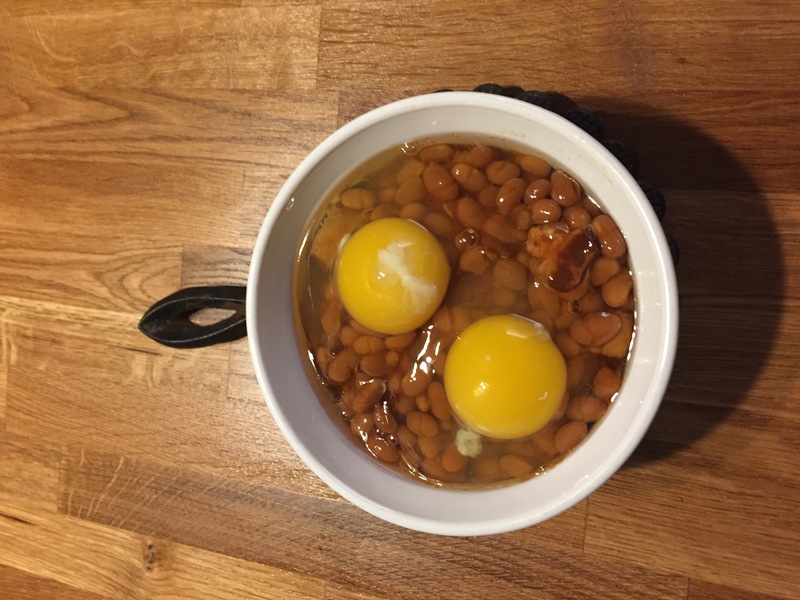 Cover the sausage with the heated beans, add at least two eggs. Pop in the oven for roughly 6-9 minutes until the whites of the eggs are cooked. These eggs look scary because they were the last of our store bought eggs.